I am a bit lazy when it comes to garlic. My local store sells it pre-peeled and in a container. It’s like magic. But I have a new trick – thanks to my mom. 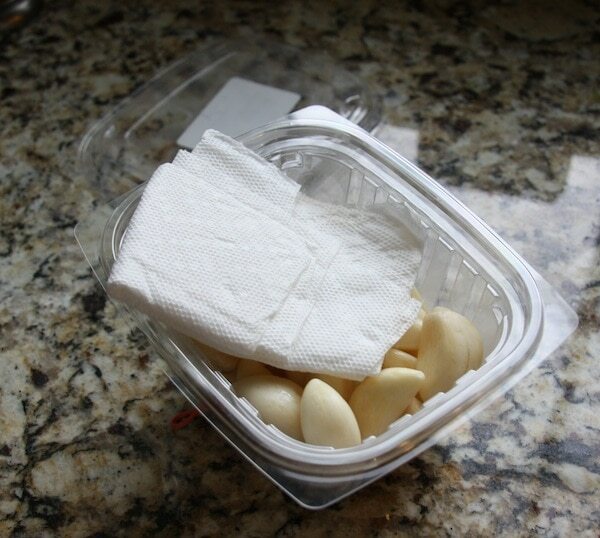 Add a paper towel to the container to help absorb some of the extra moisture. Replace it whenever you can and it will absolutely extend the life of your garlic (or any other veggie for that matter). Yeah for quick and easy tips! !